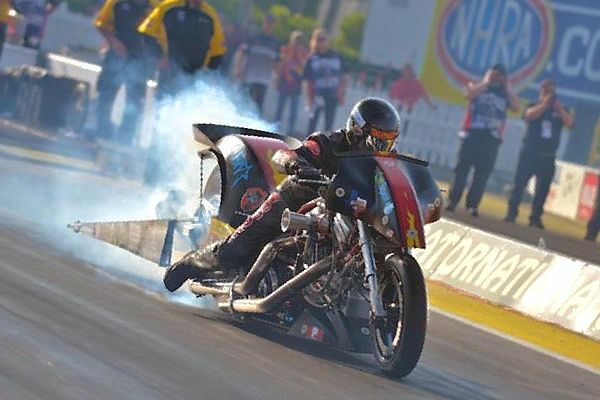 No professional drag racer on tour is more excited for this weekend's 32nd annual Mopar Express Lane NHRA SpringNationals presented by Pennzoil than Texas native Rickey House, rider of the Magic Dry Organic Absorbent Top Fuel Harley-Davidson. 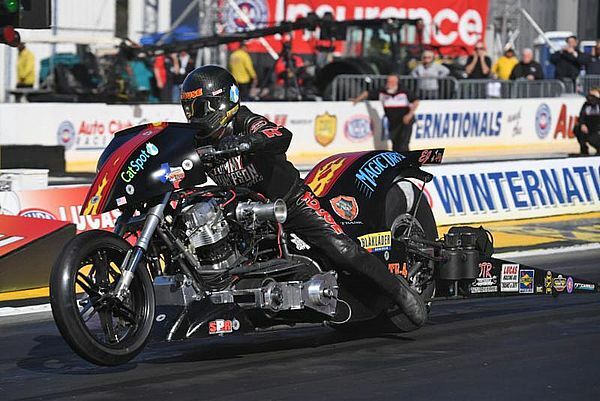 "I've been saying this bike can run a 6.20-flat and now we've proved it," House said. "That run was not only my career best, but it was the quickest of race day. If not for a fuel leak in Round 2, that sprayed fuel all over the rear tire, I think we would have won the whole event. "I think this weekend may be a game changer. If we can limit our mistakes and run the bike like we did in Florida, it'll be a real exciting weekend. I've been over this thing a hundred times and we are ready to roll." "I've been watching the weather and, typical Houston, it's different every day," House said. "Friday is regular, Saturday is showing a good chance of rain, then Sunday it looks like a cold front is blowing through and we'll have highs in the 60s. Of course, I also know this is Texas in the springtime so everything could completely change by the time we get going. "We need to be ready for anything. We've had pretty agreeable temperatures so far, maybe a little colder at the start of the season, but we're all dealing with the same thing. I will be ready no matter what." "This is a big market for Magic Dry because every oilfield out there should have this stuff on hand at all times," House said. "I use it at my shop and everyone that sees how it works can't believe it. They all walk out of there with a bag or two under their arm. Once people in the energy sector get ahold of Magic Dry, it'll be huge, especially because it works better than anything else and it's all natural. "It will be a fun weekend. I've got a lot of people coming out; a lot of my customers and a bunch of friends. A home race is always extra special and sometimes it's harder to focus with all the activity going on, but I have some serious business to attend to."